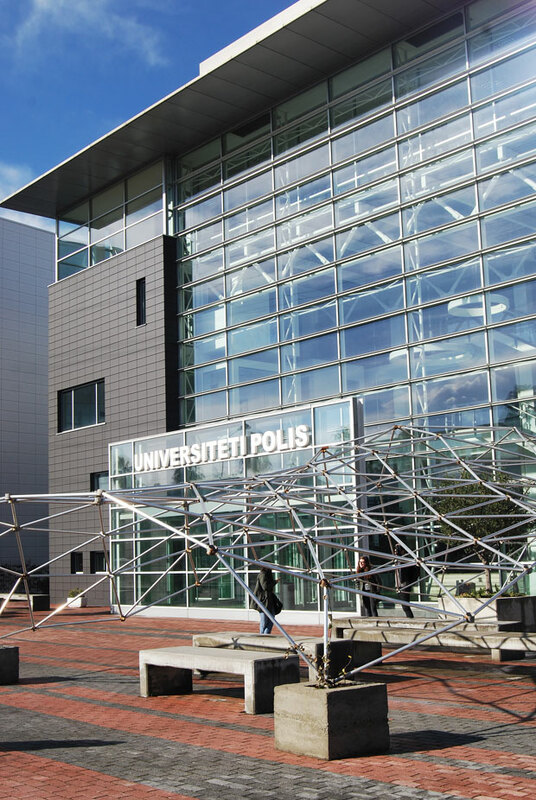 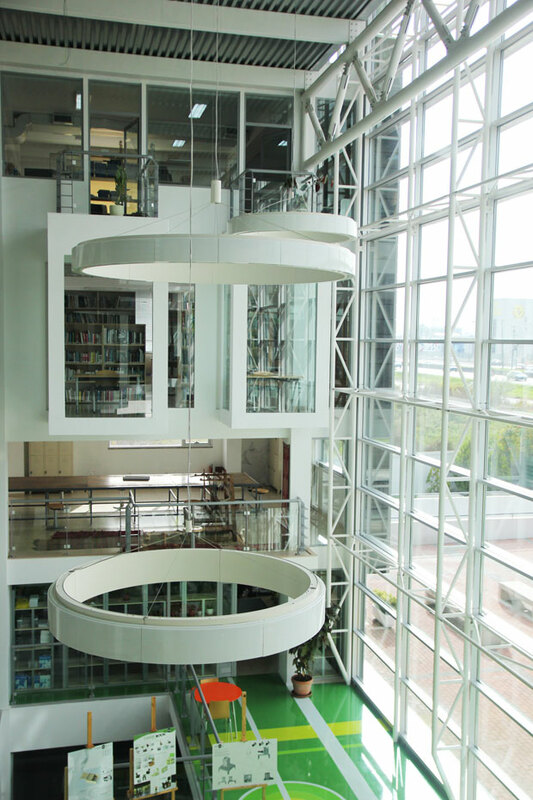 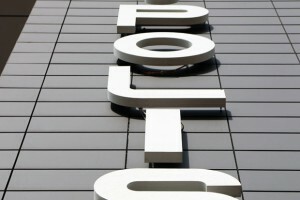 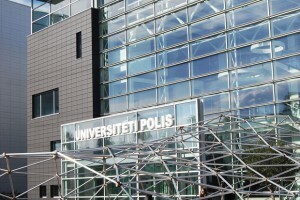 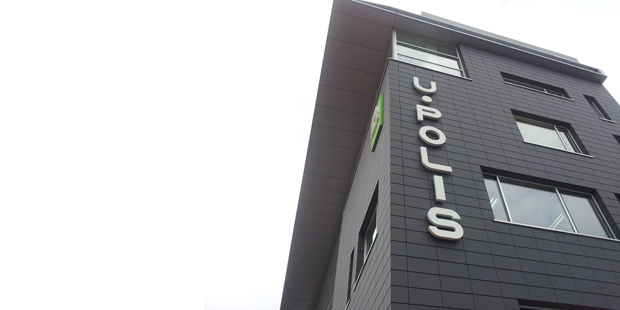 This edifice represents a new and elevated dimension of POLIS University and reflects its philosophy a transparent juxtaposition of new and old fluxes. 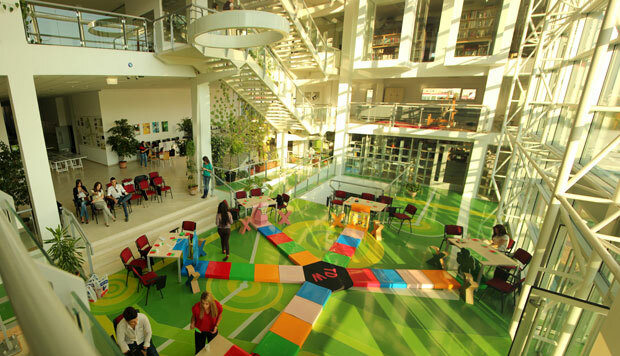 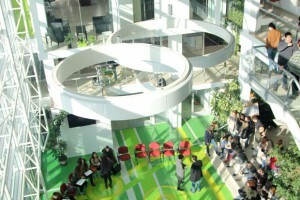 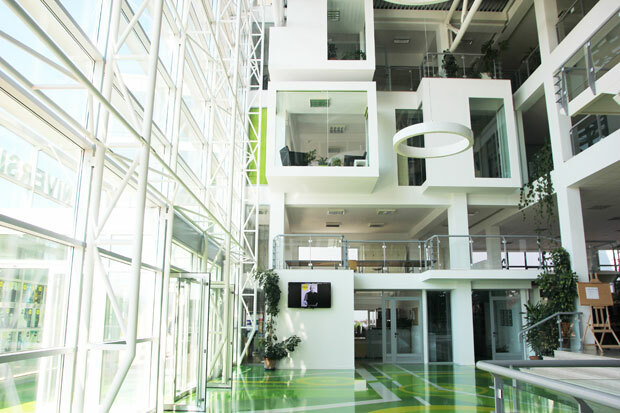 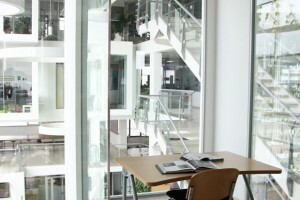 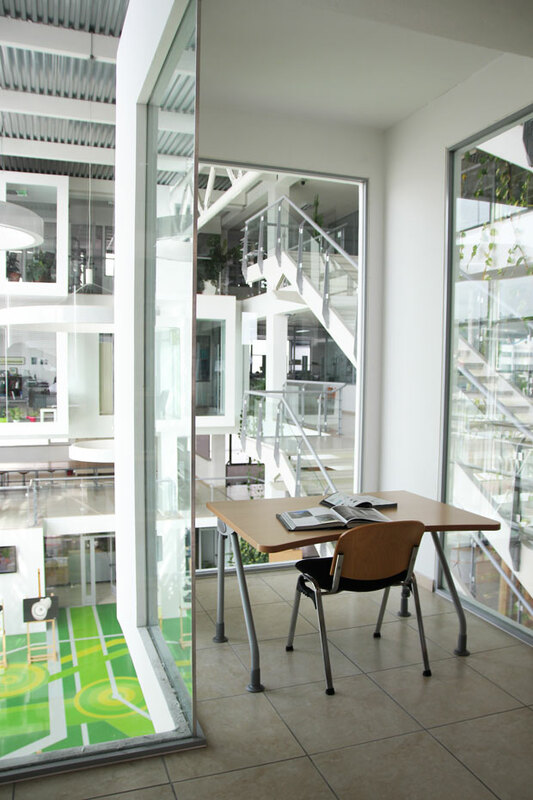 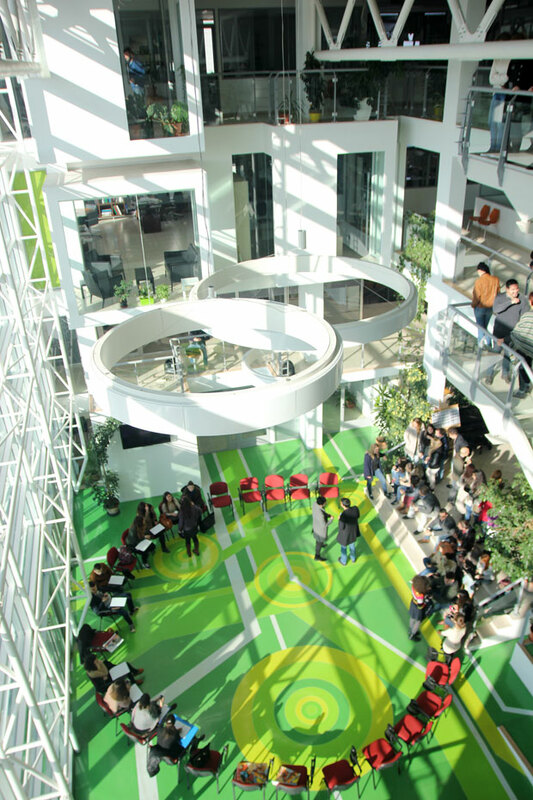 The project consisted in the re-adaptation of a former industrial building and focuses on the main hall as an open space that connects all the parts of the school. 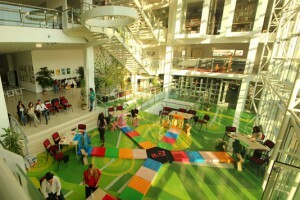 The space of the hall itself has become the hotspot of the school s activities. All the activities coming from the exterior the service areas, offices and classrooms intersect here. 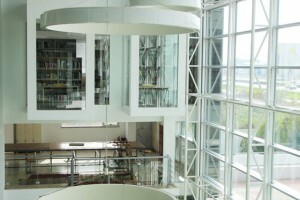 The long corridors the library and other spaces placed physically around the hall are also oriented through balconies or binocular opening toward this space. 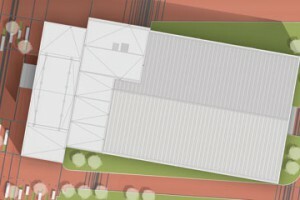 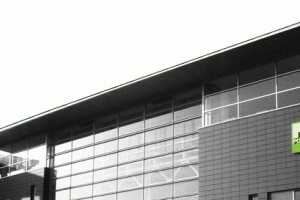 Its extension, high as the entire height of the existing building, makes it a dominating vertical connector as well. 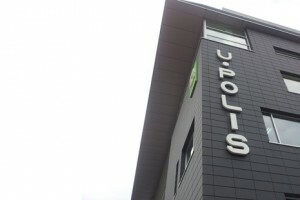 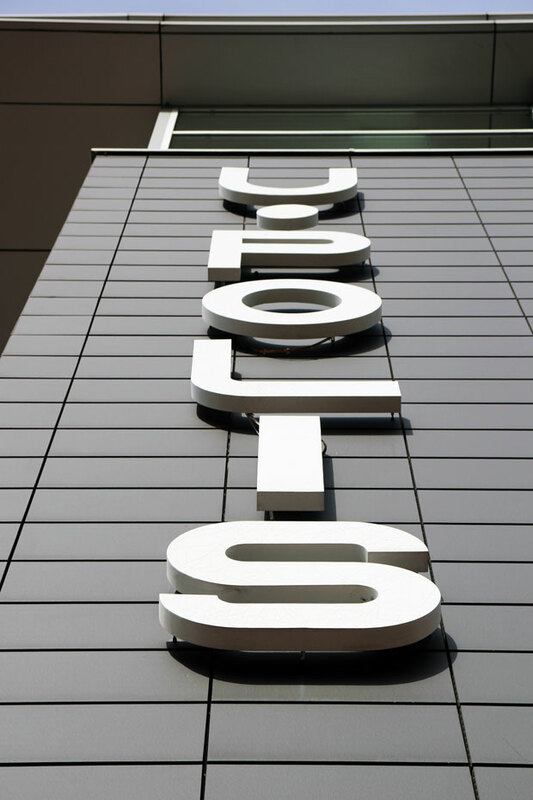 This is the first major project of Metro_POLIS that brought the studio in the local and regional spotlight for architectural design.